Michele Simpson, RWSA senior civil engineer, touring folk around the new Rivanna Pump Station following the ribbon cutting, October 5, 2017.. 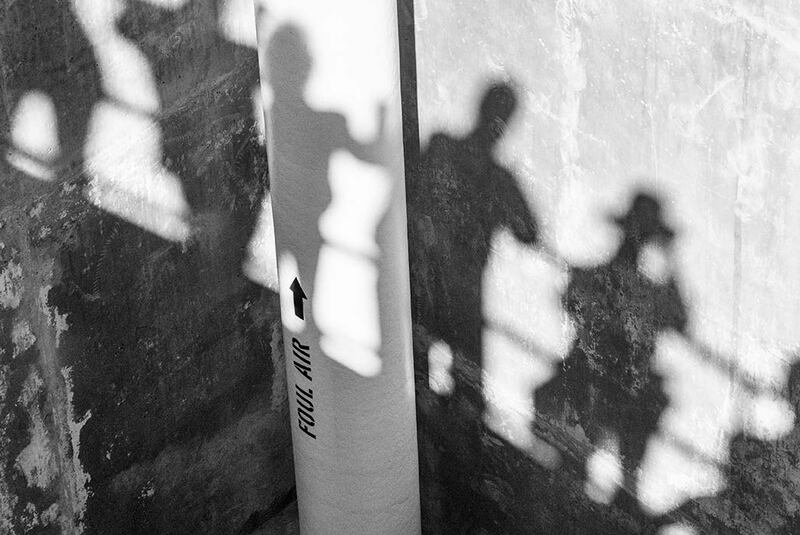 It was a seven year process from the old pump station to the new station. 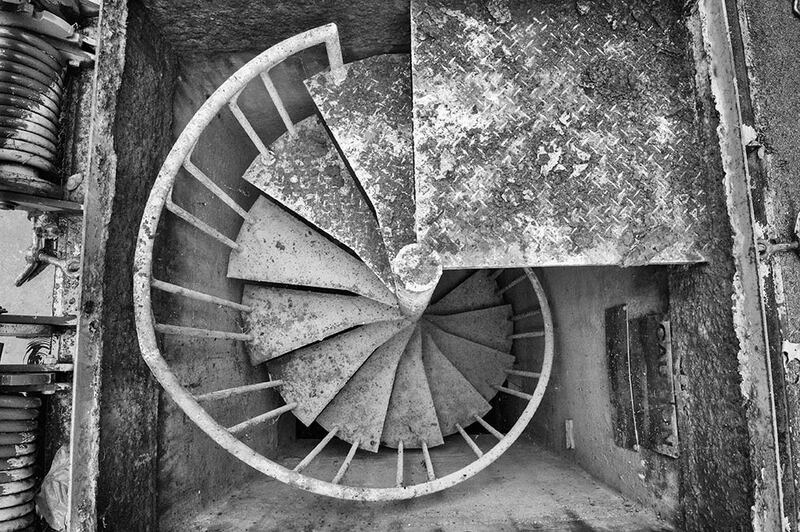 This is the circular stairway to the old RPS (Rivanna Pumping Station). A smelly hell-hole, next to a park in a residential neighborhood. December 8, 2010. Tom Frederick of the RWSA and Janice Carroll of Hazen Sawyer confer during slide presentation to the Woolen Mills neighborhood regarding RWSA’s Rivanna Interceptor Sanitary Sewer Pumping Capacity Improvements. The meetings continued for almost two years. 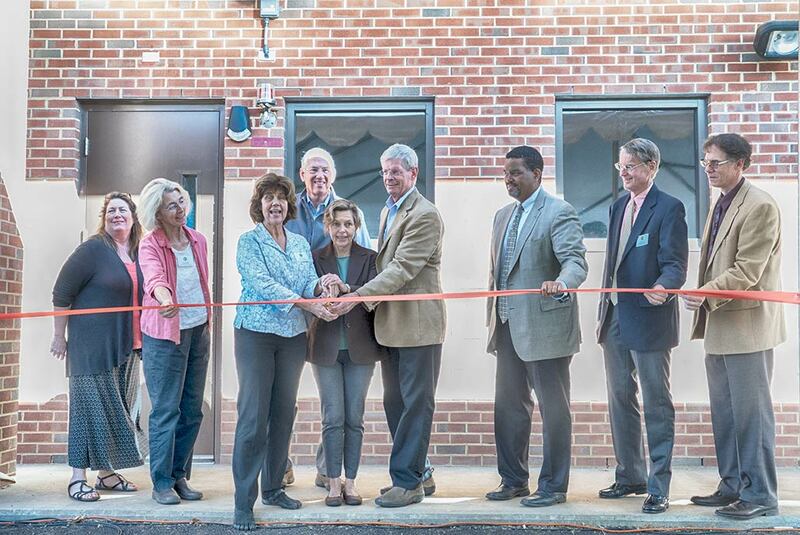 At the ribbon cutting for the new Rivanna Pump Station October 5, 2017 Charlottesville City Councilor Kathy Galvin spoke about the process. In the end, it was a good outcome, best solution for all concerned. It was a case of County/City cooperation. The design was approved secondary to courageous RWSA Board leadership by Mike Gaffney. 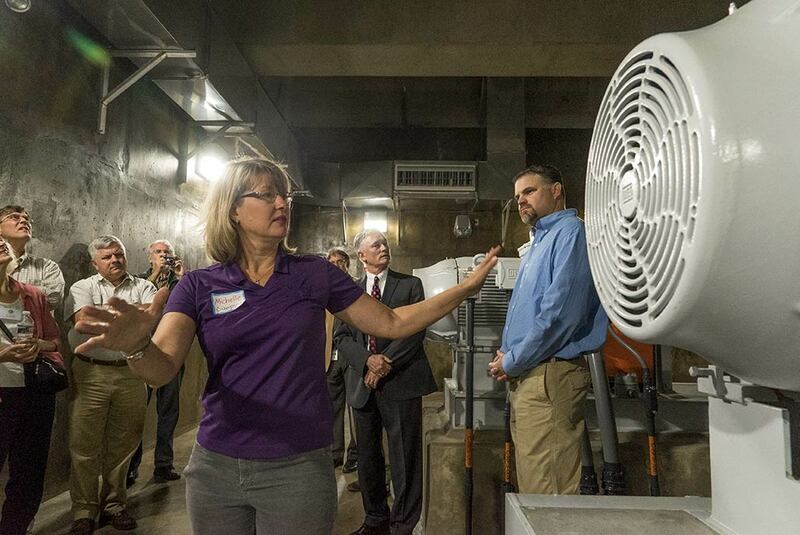 The new pump station is the product of good engineering by Hazen Sawyer and RWSA staff. 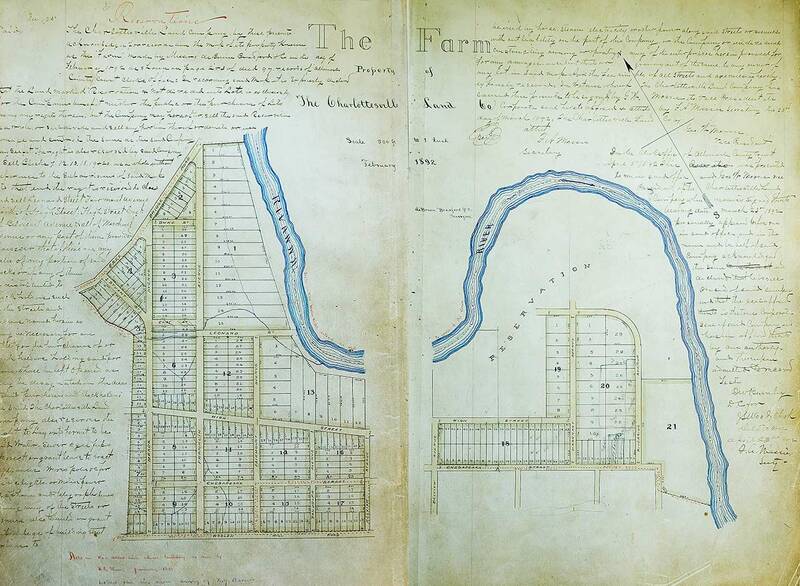 In his first lease of The Farm in 1866, Farish made restrictions that suggest he viewed the Rivanna as more than a property boundary, source of waterpower, commercial navigation artery, or ecological system. In addition to these, he viewed the river in scenic and aesthetic terms. In leasing The Farm to James E. Cooke, Farish designated areas where Cooke could gather fallen timber, but declared that Cooke, “binds himself not to injure, deface, cut down or destroy any trees whether they be for use or ornament growing upon the …leased land and more especially the prime Forest situated near the River, nor to plow up or otherwise break the sod on the steep hillside next to the River and west of the prime Forest but to continue the same in grass as it now is and keep it cleared of bushes and other filth that may grow upon it to the injury of the Grass.” This attention given to the forest, grass, and hillside suggests an aesthetic calculus concerning the river and its banks that went beyond the usual economic terms of the relationship between local residents and the Rivanna. This aesthetic vision proved central to Paul Goodloe McIntire as he shaped his own plans for the river. 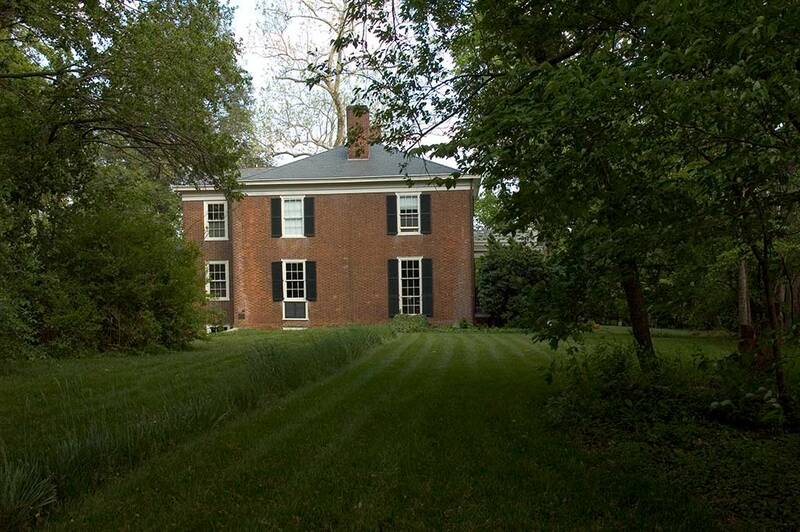 In 1891, Thomas Parish’s heirs sold the “prime Forest,” the steep-hillside with its grass sod, and nearly 200 acres of The Farm’s riverside land to the Charlottesville Land Company. 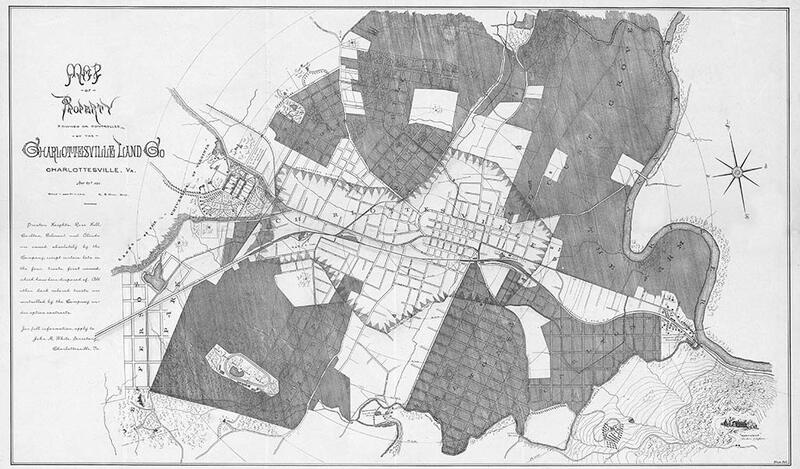 The Charlottesville Land Company was the leading developer of residential subdivisions and had converted farmland on all sides of the downtown into modern suburban neighborhoods to accommodate Charlottesville’s expanding population. The Company filed the plat for its subdivision in February 1892; it appropriated the familiar historical name, calling the development The Farm. The plat established block, street, and lot lines, making the streets generally 50 feet wide and giving the typical residential lots 50 feet of street frontage and between 175 feet and 200 feet of depth. The residential lots closest to the Rivanna had a different form. These lots were twice as wide, with generally 100 feet of street frontage, and much deeper, ranging from 250 feet to 700 feet deep. 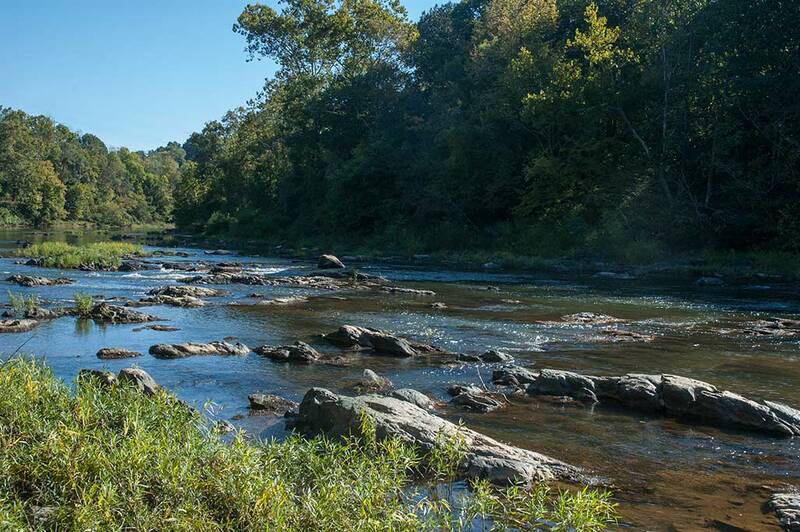 Thus, the subdivision layout reflected the continuing value of the Rivanna in the region; it also clearly assumed that the riverside lots would be more valuable because of the scenic and aesthetic character of the River. The depth of some of the lots might also have reflected the continuing expectation that the river would flood and submerge the back yards of the most substantial residences in the new neighborhood. 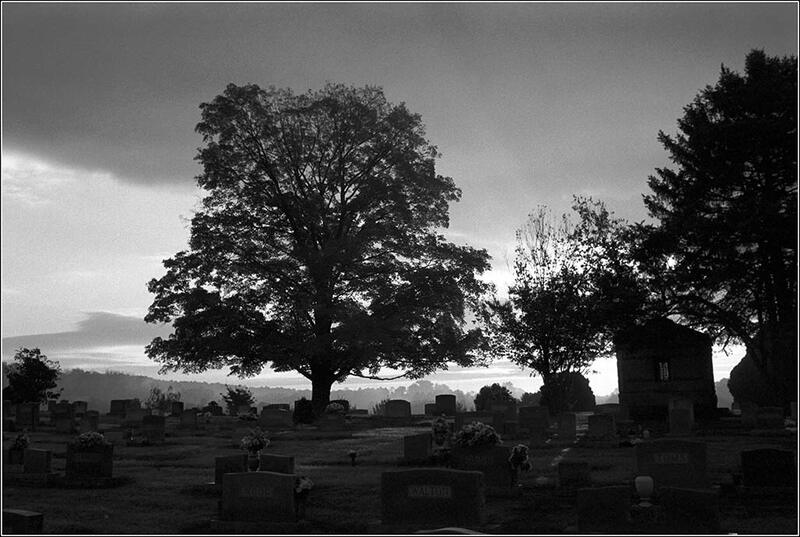 Moreover, the Charlottesville Land Company initially left the area of the “prime Forest,” the steep hillside, and grass sod as an undivided “reservation,” perhaps intending to develop the area as a park, although the Company did assert its prerogative to later sell or divide the land as it wished. As agriculture and denser settlement developed along the Rivanna River local residents looked to the river to meet other important needs. The Rivanna provided waterpower to run mills that processed timber, grain, and wool. In many areas, tapping the river’s waterpower required the construction of dams that obstructed the older established patterns of river navigation. In the first third of the nineteenth century, the Rivanna Company and the Rivanna Navigation Company received state charters to undertake improvements, including canals and locks to carry boats around darns and river rapids. Thomas Jefferson’s 1771 hand copy of a survey of the lands of Nicholas Lewis, grandson of Nicholas Meriwether, nicely represents the vision of Charlottesville as a river community. The town and court square stand on the high ground separated by productive agricultural land from the Rivanna. Starting in the late-nineteenth and early twentieth century, this productive agricultural land, called The Farm, was taken out of agriculture and became a site for the expansion of Charlottesville settlement. This was also the same area where in 1920 Paul Goodloe McIntire sought to revitalize the connection amongst the town, the people, and the river-in the form of a major riverside park. The riverside lands had passed through several owners between Nicholas Lewis and developers of the late nineteenth and early twentieth century. John A.G. Davis purchased large tracts of Lewis’s plantation in the 1820s. Davis commissioned architect Thomas R. Blackburn for a design. He drew upon the talents of builders William B. Phillips and Malcolm F. Crawford­ who had just finished work on the University of Virginia–to construct a new plantation house overlooking the rich bottomlands along the Rivanna. In November 1840, Davis, a law professor, was shot and killed as he tried to calm a student riot at the University of Virginia. In 1848, William Farish purchased the plantation for his son, Thomas L. Farish, who continued the century-old pattern of cultivating the land. In 1860, the plantation had 300 acres of improved land and 180 acres of forests and meadows. Farish owned 13 horses, 4 mules, 13 milk cows, 4 oxen, 18 cattle, and 22 pigs. In 1860, his fields yielded 15,000 pounds of tobacco, 1,000 bushels of wheat, 2,250 bushels of corn, 50 tons of hay, and 40 bushels of potatoes, while his cows produced 205 pounds of butter. Thomas Farish and his family did not sow or harvest these agricultural products on their own; in 1860, Farish owned 37 slaves who worked his plantation. As a captain in the Confederate Army, Farish fought to preserve this system. At the conclusion of the Civil War, after losing his enslaved labor, Farish began to rent out his land to local farmers. Paul Goodloe Mcintire (1860-1952) enjoyed considerable success in business and philanthropy. 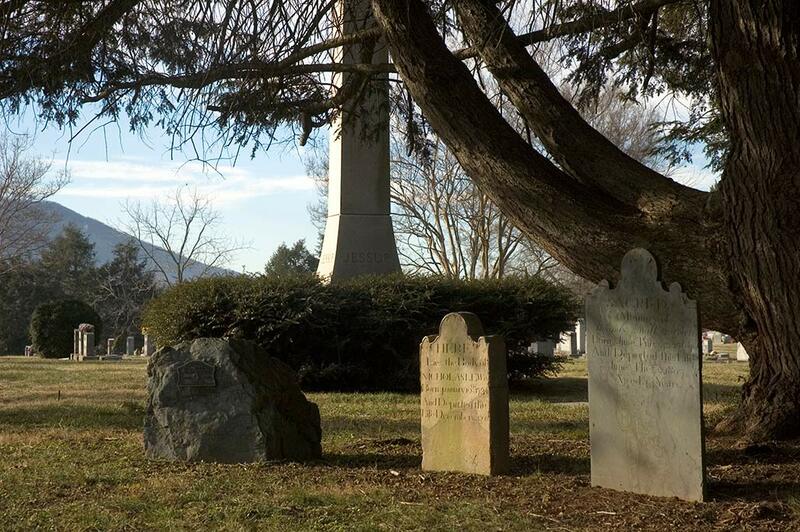 The son of a Charlottesville druggist, McIntire grew up adjacent to downtown on High Street. He attended the University of Virginia for a single term, leaving to enter business in Chicago. In 1896, he purchased a seat on the Chicago Stock Exchange and later took a seat on the New York Stock Exchange. After World War I, Mcintire began using his substantial investment wealth to build Charlottesville institutions and to shape its broad civic landscape. At the University of Virginia he endowed schools of commerce, music, and art, and he constructed a large outdoor amphitheater. 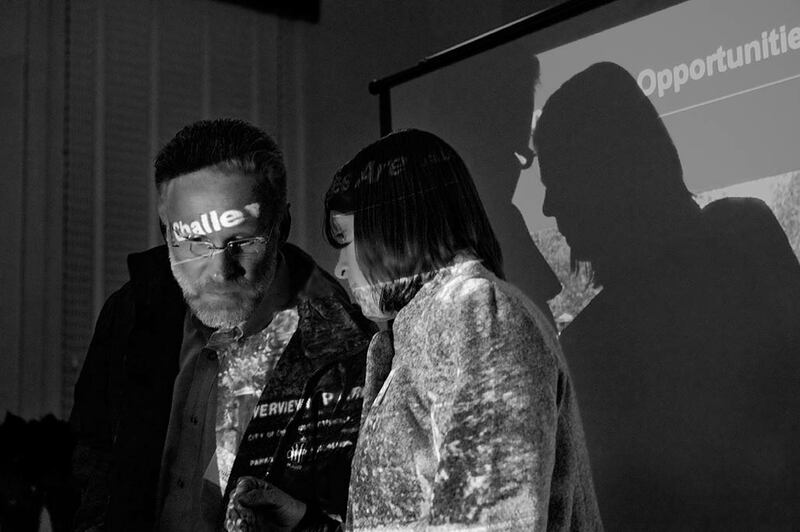 He took the lead in Charlottesville’s City Beautiful embellishments, building a public library, a high school, monumental civic sculptures, and public parks. Mclntire’s success in these endeavors stood in sharp contrast to his 1920s failure to establish a major public park and a psychiatric hospital on lands along the Rivanna River. 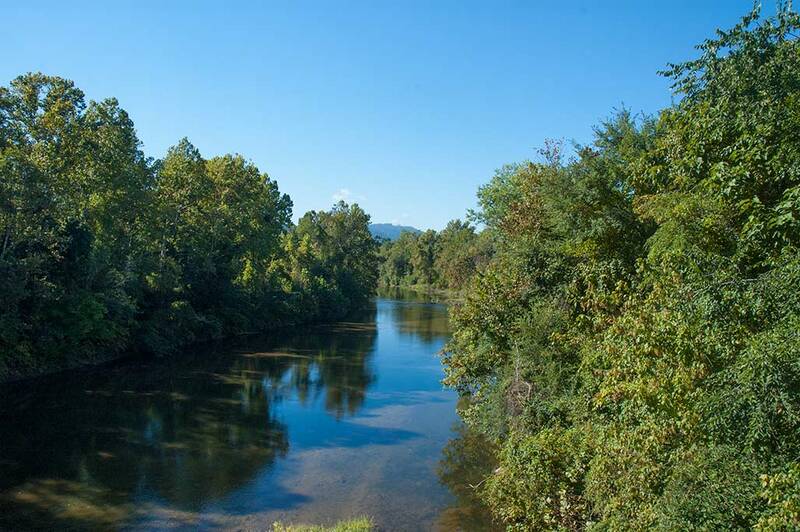 If Mcintire had been as successful on the Rivanna as he had been in other areas, Charlottesville would have had a very different urban form, maintaining a much more palpable relationship to the river. 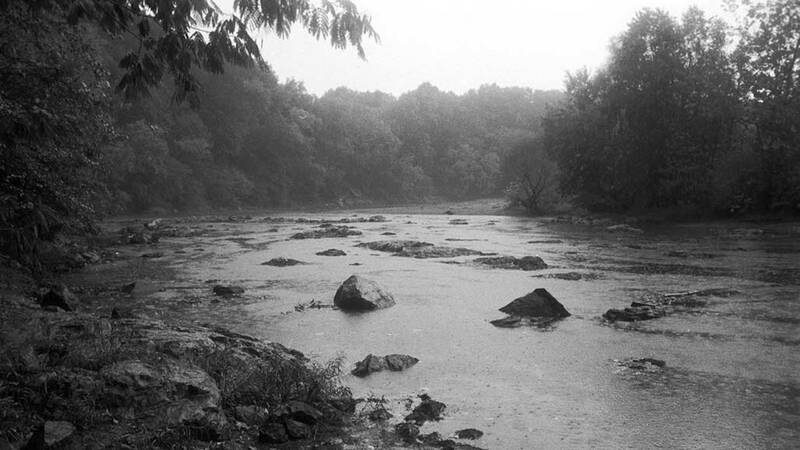 Rather than receding from the consciousness of local residents, as it did in the second half of the twentieth century, the river, one of the region’s most significant environmental, cultural, and historical resources, would have continued to engage the interest, energy, and imagination of Charlottesville citizens. 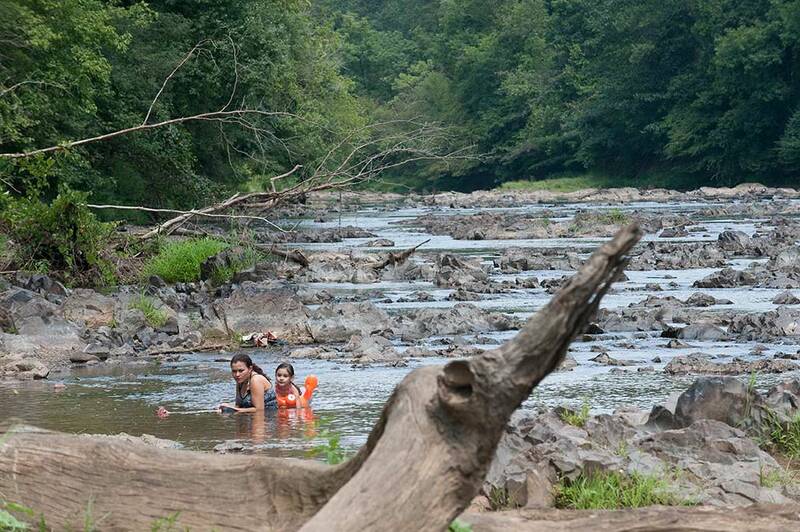 This essay explores the changing importance of the Rivanna River for Charlottesville residents as a way of better understanding McIntire’s riverside visions. 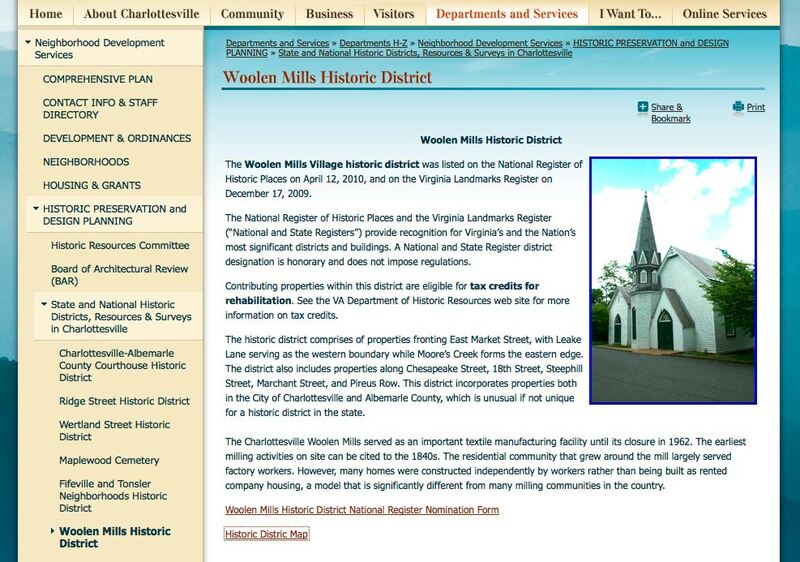 City Councilors are visiting the Woolen Mills October 3, 2013. The visit is part of an ongoing program “Our Town Charlottesville” where the Councilors go out and mix with the people, the governed, us. The meetings provide a moment when one can interact with the legislators on a more even footing than at a City Council meeting. The time of the gathering is 6-8PM, the place, Woolen Mills Chapel, 1819 E Market Street. Food and childcare provided courtesy of your tax dollars. If you have questions you’d like to ask of your elected representatives, or feedback you’d like to provide for them, this is a good opportunity. 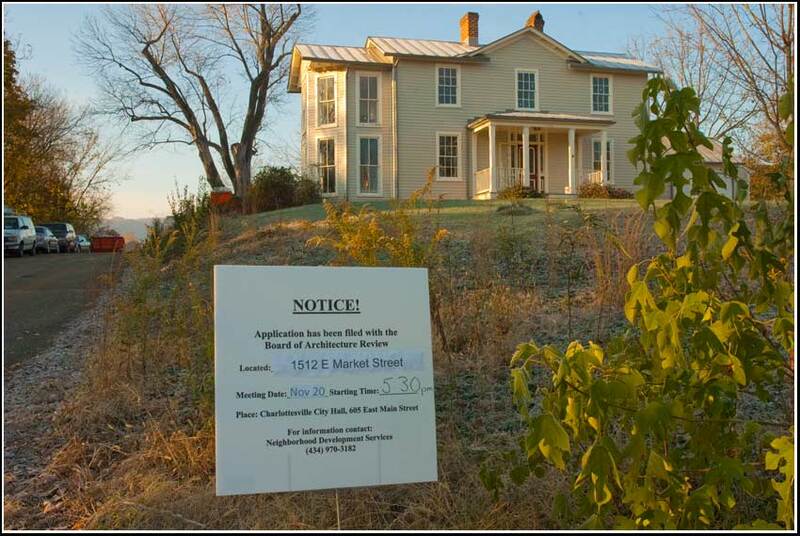 or email the Councilors at council@charlottesville.org. 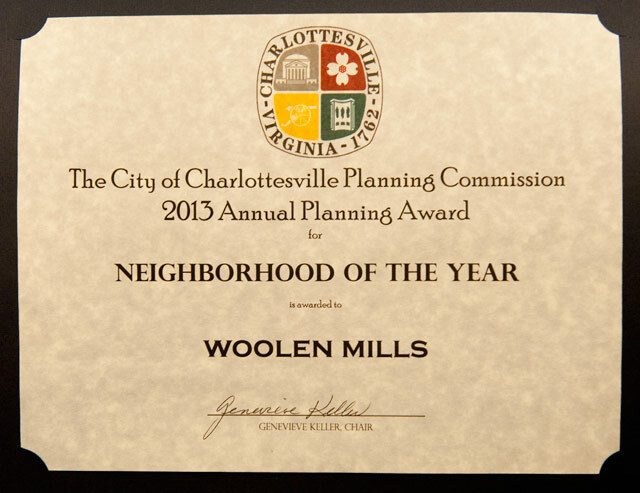 Neighborhood of the Year is awarded to the Woolen Mills. 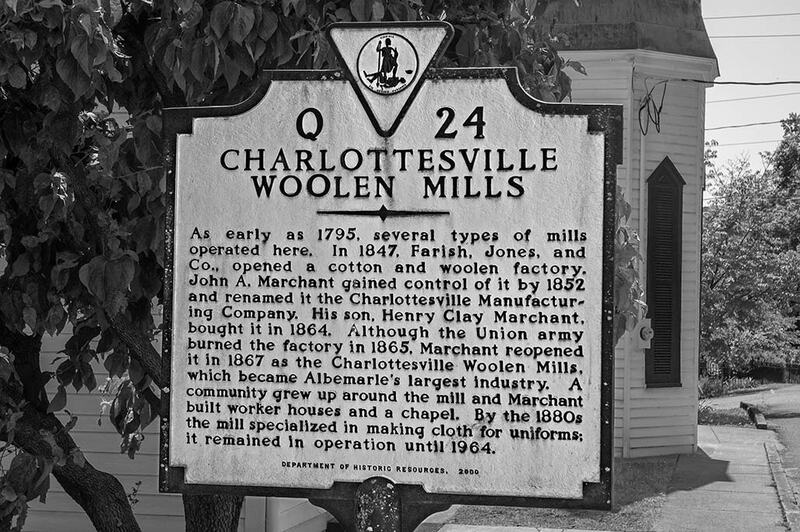 The reasons are many, but not the least of which is the Woolen Mills neighborhood’s continued active participation in City planning discussions in an effort to enhance their neighborhood’s assets and, therefore, create unique assets for the entire Charlottesville community. Work is ongoing for the multi-family old folks development in the backyard/front pasture of James and Bannie Branham’s house at 1512 E Market.